Have you ever tried tomatoes on toast? It's a new favorite go-to of mine when I need a quick surge of energy. 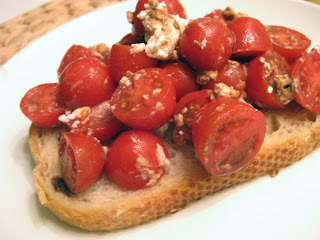 Sourdough toast is the perfect thing to soak up the tart red tomato juice and balsamic vinegar. Creamy goat cheese adds a touch of heaven. 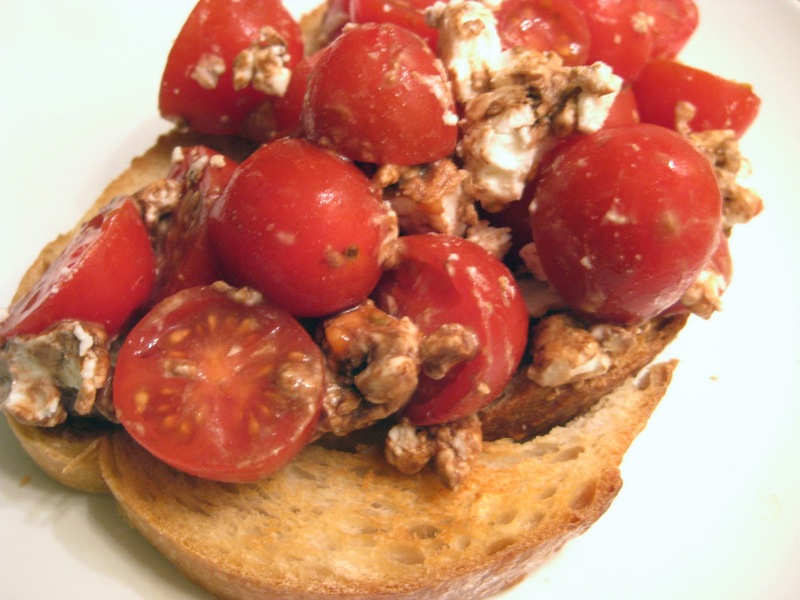 Mix together tomatoes, goat cheese, and balsamic vinegar until incorporated. Scoop on top of toast. 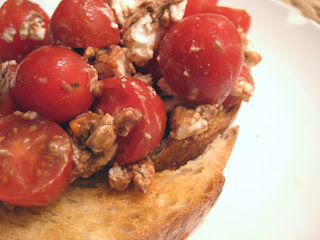 Eat with a plate underneath to catch your spare cheese crumbles! Be energized. this-looks-divine!! seriously...my stomach is growling, looking at these pics!